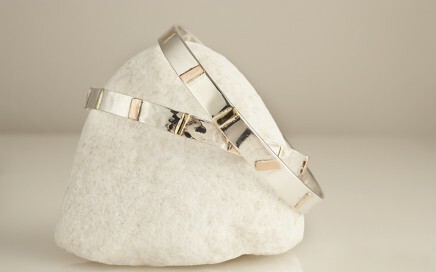 Bespoke Recycled silver cuffs with 24ct gold plate in folds and cubic ziconia set, talk to April to discuss design. Two 3 mm recycled flat silver bangles. 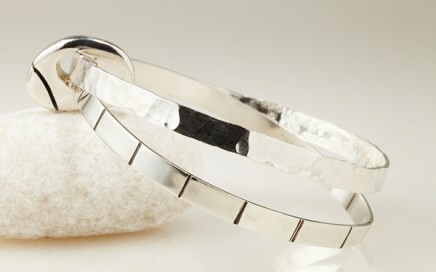 Joining the bangles is a decorative solid recycled silver pebble flush set with Cubic Zirconia. One of the bangles is flush set with matching Cubic Zirconia’s in your choice of colour. The other bangle has a hammered finish. 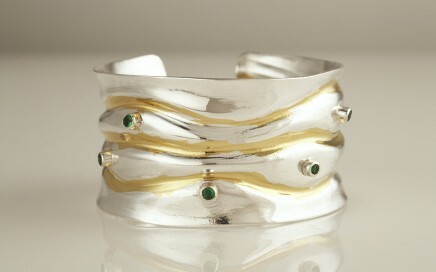 Three recycled silver bangles. The two outer bangles are hammered and 2 mm wide. 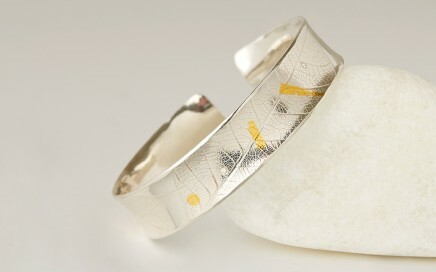 The single inner bangle is 5 mm wide. The three bangles are held together by a single flat recycled silver disc decorated with recycled copper. Two 3 mm recycled flat silver bangles. 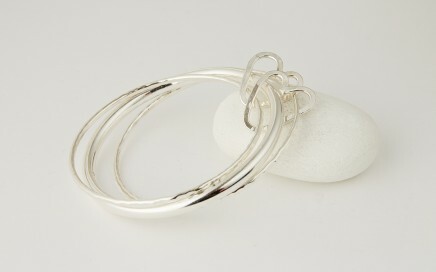 Joining the bangles is a decorative solid recycled silver pebble. One bangle has a hammered finish. The other bangle has vertical oxidised lines across the width circling the bangle. 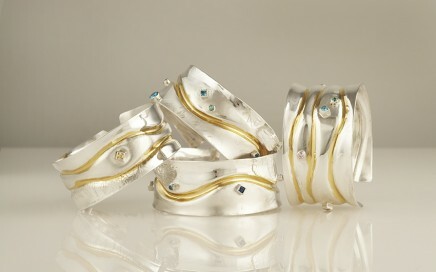 Three recycled silver bangles. The two outer bangles are hammered and 2 mm wide. 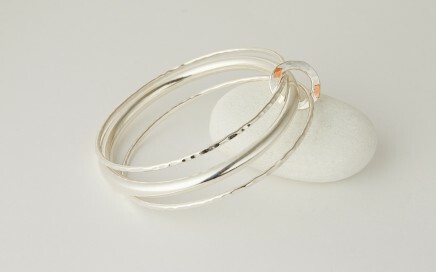 The single inner bangle is 5 mm wide. 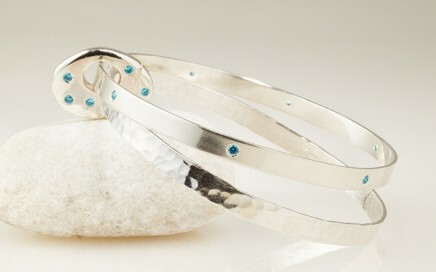 The three bangles are held together by two recycled silver hearts. Recycled Silver Cuff with 24 carat Fused gold for decoration An embossed leaf design is decorated with four 1.5mm Austrialian Diamonds.